We buy lot of merchandize online these days on eBay and other sites. 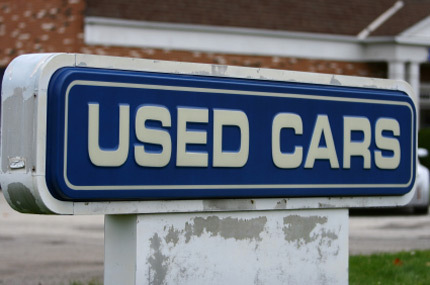 However, there are scams and deliberate scammers online to watch for when you buy a used car online. Here are some common scams to watch out. Do not fall into shipment scam: In this case the seller tells the buyer that the car is out of town and not available for shipment immediately. However, the seller requests the money to be transferred to a bank account. These kind of scams are more common with non-existing hard to find or exotic vehicles. Once you transfer the money, car or the person who sold the car are nowhere to be find. Watch out for online bidding: Bidding war is artificially created in order to jack up the price of the vehicle. Also, watch for signs of false representation of the vehicle and its current location. Watch for authenticity of the escrow account: One way you can ascertain the delivery of the vehicle is payment through an escrow account. However, some escrow accounts could be false. If you insist on placing the money in an escrow account created by you using sites like PayPal, your transaction may be safer.